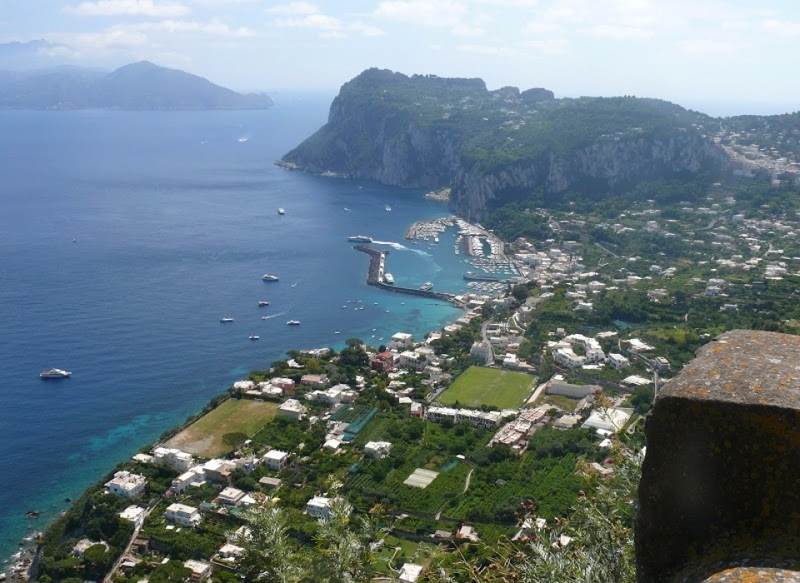 Capri, that small island off the coast of Naples conjures up images of decadence, romance, and pleasure. Located in the Bay of Naples, just a 45 minute hydrfoil ride from Naple’s port this island has long been a favorite place for the rich and famous. 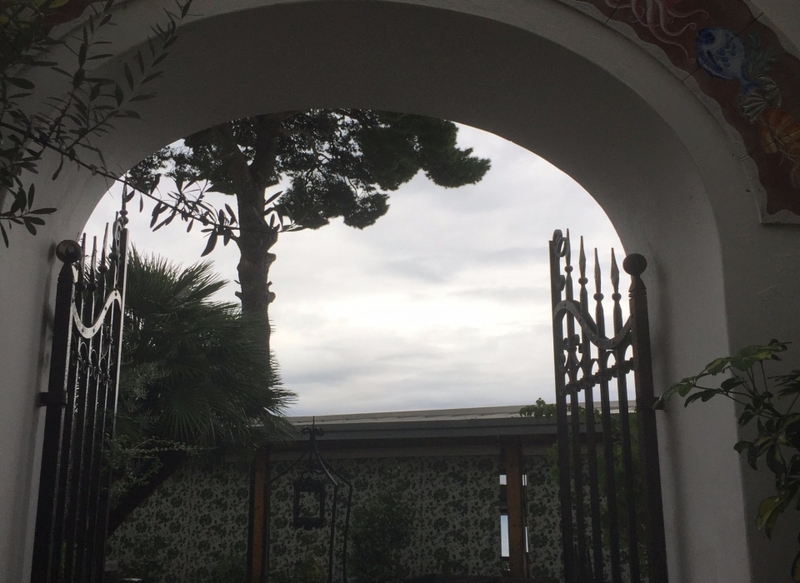 From Emperor Tiberius to Jackie Kennedy to Mariah Carey and Leonardo di Caprio, Capri has been a favored hide-away, in fact Tiberius spent the last years of his life in Villa Jovis, his most luxurious villa in Capri. 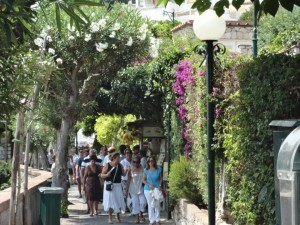 These days thousands of tourists flock to Capri each day, specially in the summer. It’s become a vacation destination for newlyweds, families, and just about everyone who has a visit to the island on their bucketlist. It’s also become a favorite, if not expensive shore excursion for cruisers sailing on the huge floating resorts that stop regularly in Naples on their Med Cruise itineraries. 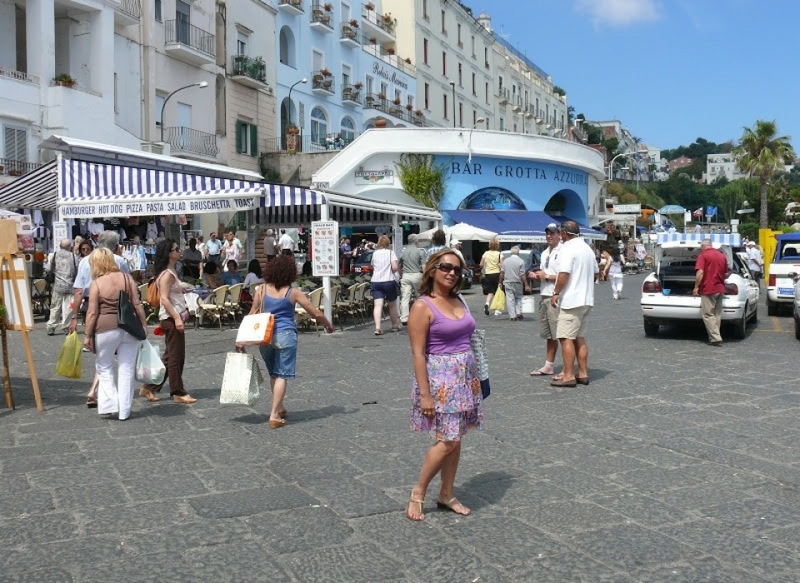 I have been to Capri many times, mostly when I’m on a cruise that stops in Naples, but also as day trips from Rome. 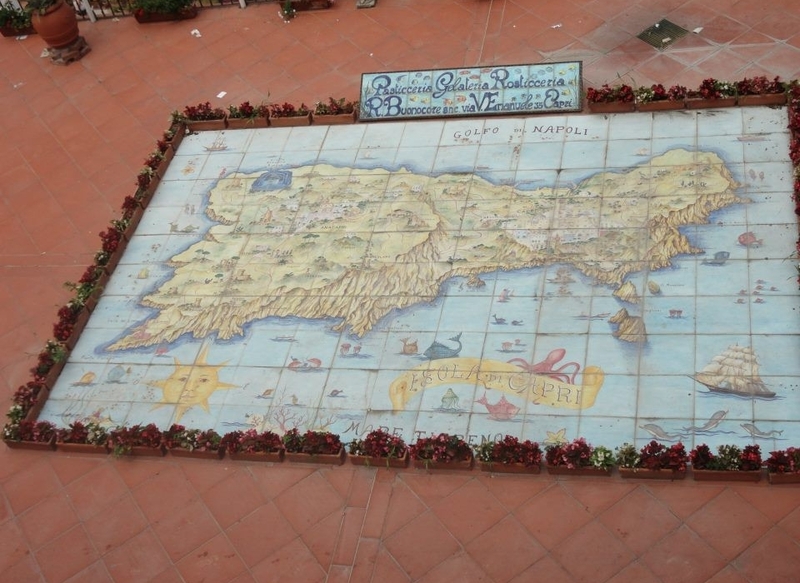 (Naples is less then a 2 hour train ride from Rome’s central train station via high-speed train.) I’ve gone to Capri on a Shore Excursion which I booked from the cruise line and also on my own. Actually these days we get there on our own, we find it much more enjoyable than being herded around with a 50 or 60 other fellow cruisers. 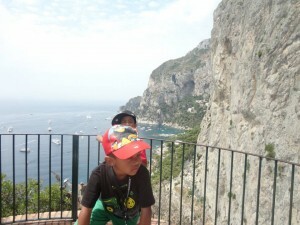 Before I give you tips on how to get to Capri and what to do there, let me first tell you about mine and my son’s experiences with excursions purchased from the cruise lines. 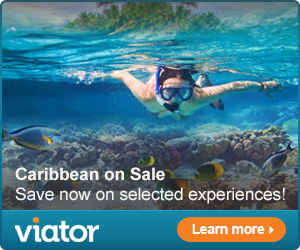 My very first visit was with a Princess Shore Excursion about 10 years ago. 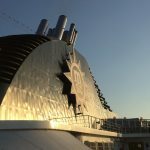 I was new to cruising at the time and was very concerned about being left behind, this is still a concern, but we’ve learned to plan around the ship’s departures. 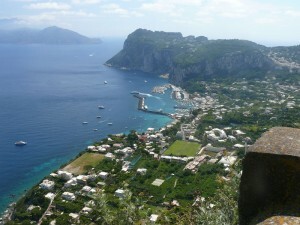 I booked the Isle of Capri tour from the shore excursion desk, it cost me a little over $200 a person. 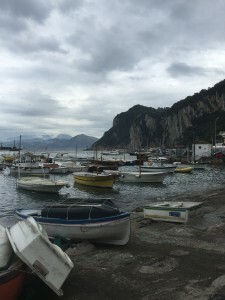 It included lunch, transportation to and from the island, a tour of Anacapri (the small town on top of the mountain), and free time in Capri. It was supposed to be about an 8 hour tour. Sounds reasonable right? The tour met on the ship very early, about 7:45. After we got our tour stickers we were led out of the ship to meet our tour guide who walked us to the small port from where the ferries and hydrofoils depart. 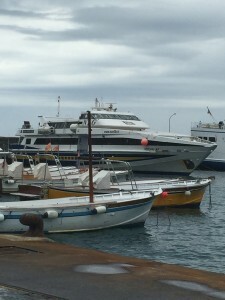 We were given tickets and told to get on board the public ferry to Capri, yes the tours take the same ferries and hydrofoils like everyone else heading for the island. 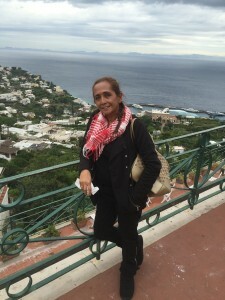 When we arrived in Capri we were given tickets and taken to the funicular station where we stood in line with everyone else for the quick ride up to the town of Capri. 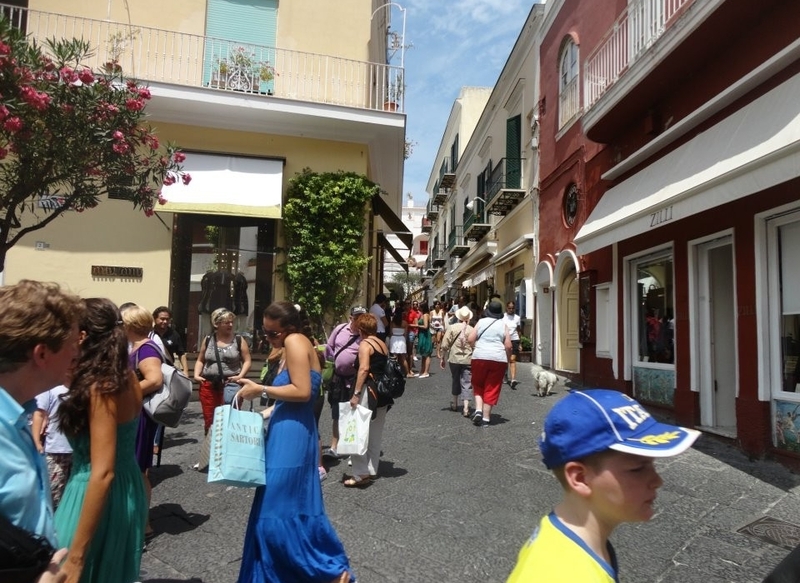 Once there we were led to waiting buses which drove us up to Anacapri. We were given about 1 hour to walk around the town, unfortunately it was too early in the morning and everything was closed! 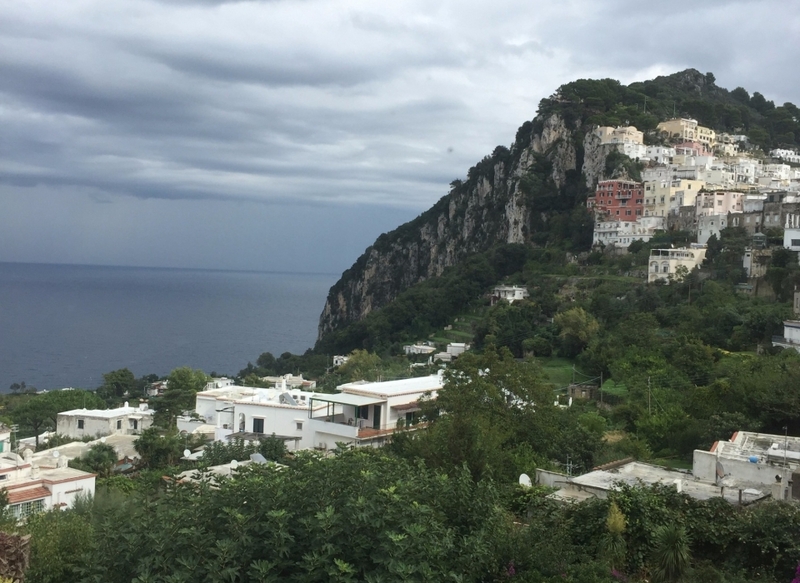 All we could do was enjoy the view and walk around a bit before we had to head down the winding road back to the town of Capri, that was an experience! In the town our guide walked us from the bus station to the little piazzetta which is the main square in this quaint little town. She pointed out the church, the cafes, and the shops as we rushed by on our way to lunch. Lunch was at a Best Western hotel with a set menu of salad, bread, Chicken Cannelloni, dessert, and wine if you wanted. I have to say lunch wasn’t horrible, but it wasn’t terrific, nor was the service. After lunch the guide pointed out the way to several island attractions and told us to meet back by the funicular station in about an hour for the trip back to the ship. I believe we were back on board the ship by 3 o’clock not having seen much of anything. I did however manage to buy a few pairs of handmade leather sandals, but they cost me a small fortune because I didn’t have enough time to shop. 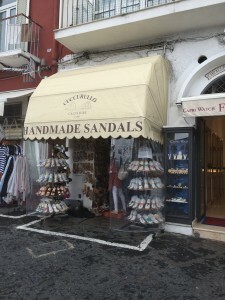 Of course the sandals were probably the reason we didn’t see much of the town, the hour we had was spent picking out sandals, but sandals were a must, Capri is famous for its sandals! 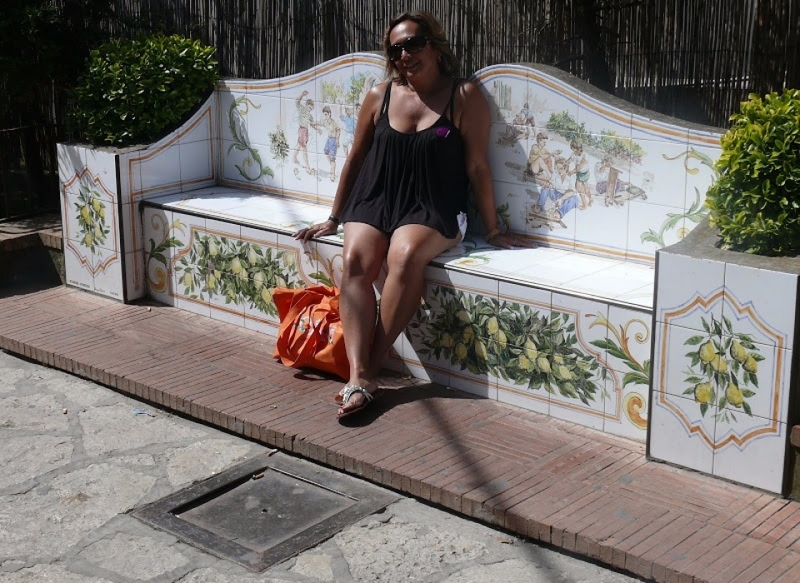 I honestly wasn’t please with my Capri visit, I vowed to go back. 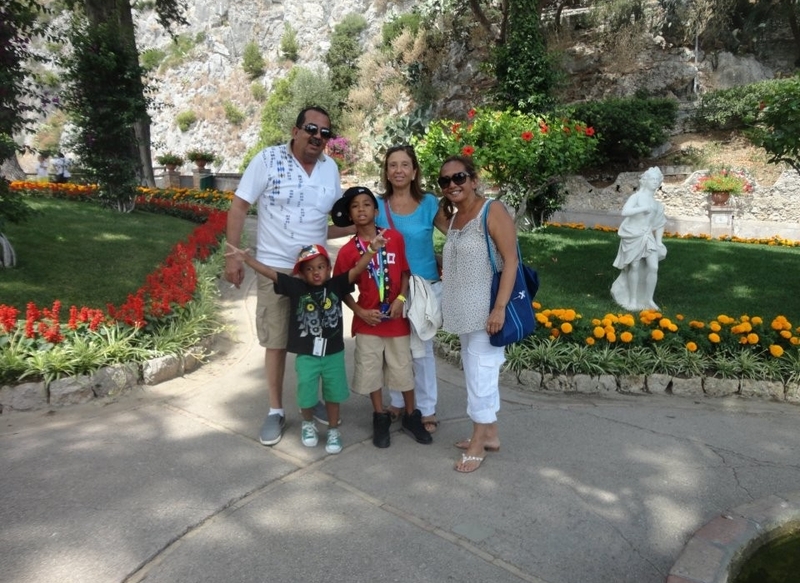 When it was my son’s turn to visit Capri, he did so on his honeymoon. I had to advise him and his bride to take the ship’s shore excursion because it was their first time in Italy and I just didn’t want them to run into problems. Unfortunately my son, 5 years later, is still grumbling about their experience, and I can’t blame him! 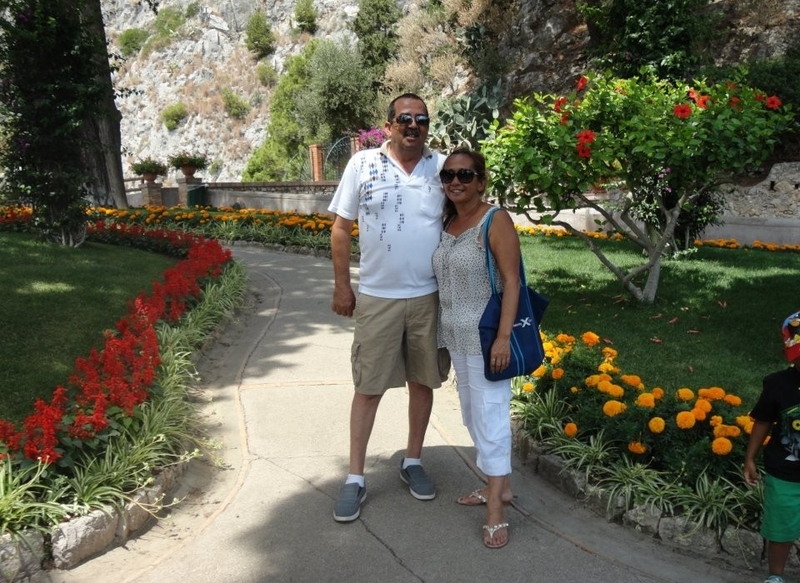 They were so excited about the Naples port of call and purchased the ship’s Capri, Pompei, and Sorrento tour. It cost them well over $300 a person. 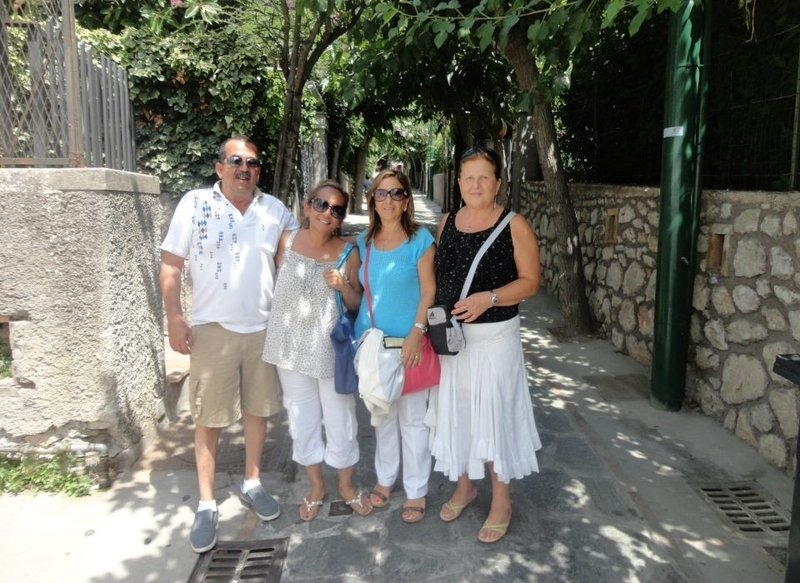 Like my tour they started out early and headed to Capri, they went to the town and were given 30 minutes to walk around, barely enough time for Sheena to buy sandals! They were rushed back to the ferry port where they had to wait in the sun (there is no shade on the docks) for over an hour to catch the ferry back. 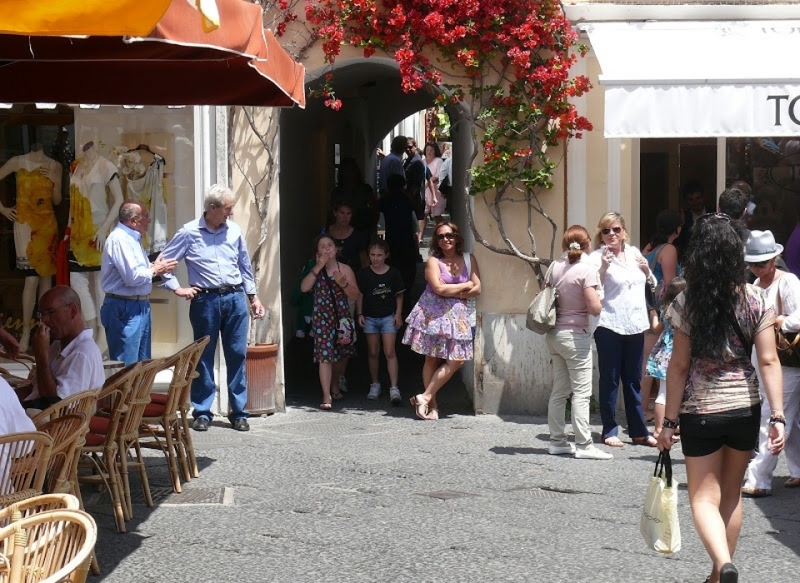 Then they were driven by bus to Sorrento to a restaurant that contracts tour groups and told after lunch they would have about 30-45 minutes to walk around the town. My son left the tour after watching the waiters microwave his food and my daughter-in-law finding a hair in her meal. That was the last straw, specially when the waiter just shrugged when they showed him the hair. They ended up working a deal with a local taxi driver to drive them to Pompei, my son really wanted to see it. 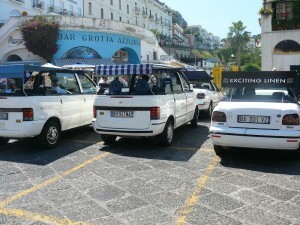 They wandered Sorrento on their own for about an hour; the driver had told them they had more than enough time to do so and also visit Pompei. In the end they had a great time, but the driver cost them 200 Euro for the rest of the day and even though they complained to the cruise line they never did get a refund or partial refund back. 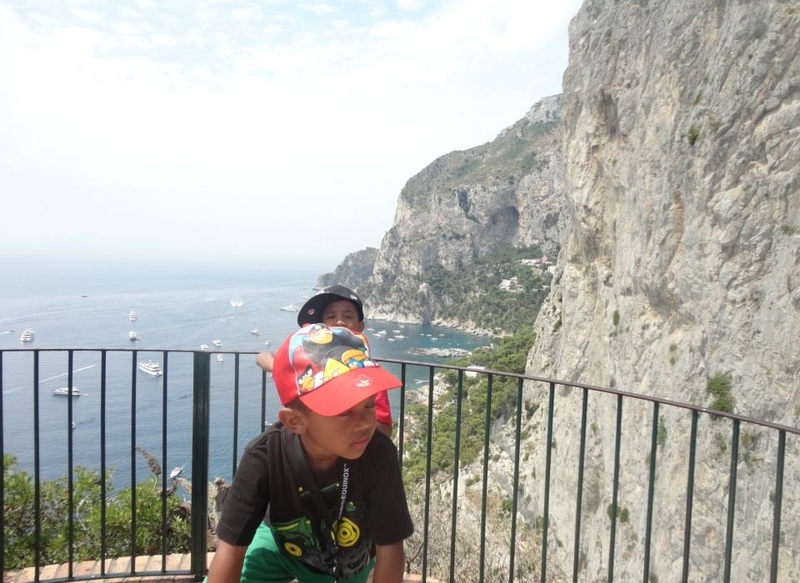 My son chalked it up to a bad experience, but made sure when they went back to Capri the other year they did so on their own. It also prompted him to tell my daughter and her husband to avoid the tour when they too went on the Med cruise for their honeymoon the following year. Having related our personal experiences doesn’t mean I want to discourage anyone from buying and going on a ship sponsored excursion. I’m just saying it’s not for us for several reasons. But if you’re going to spend the time on the shore looking at your watch and worrying about missing the ship then really you won’t have fun; it’s best you go with the ship’s tours and enjoy the time that you do have on the island. When you’re on a ship sponsored excursion you don’t have to worry about missing the ship, they wait for their tours to return no matter how late. They don’t do that if you’re on your own. And before you ask, yes they will leave you if you’re late, I’ve seen it happen! 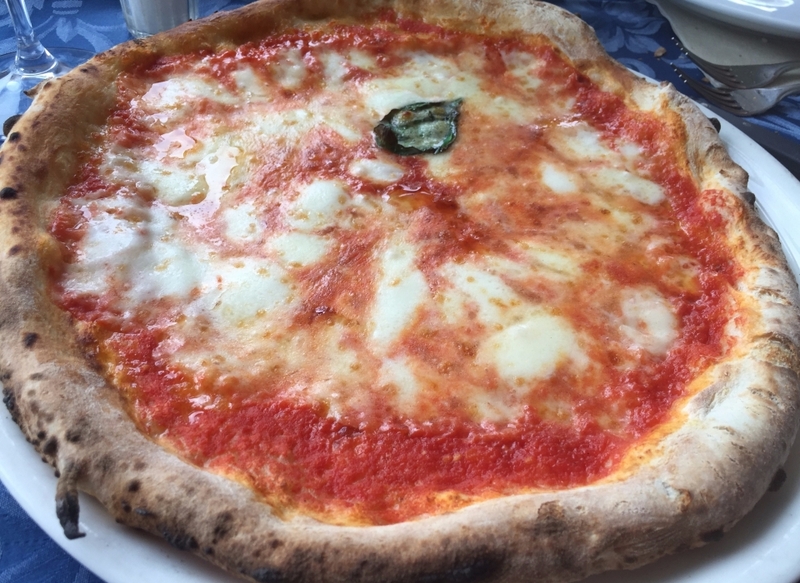 But if you’re a seasoned and adventurous traveler and are confident in being able to manage your time on shore then read on for my tips and info on how to make the best out of your Naples port of call. 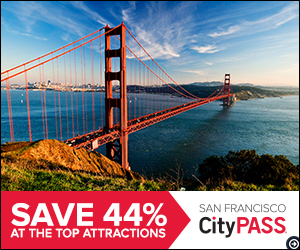 It is definitely less expensive than purchasing a packaged tour, but most importantly you will be able to go, see, eat, and shop on your own time. 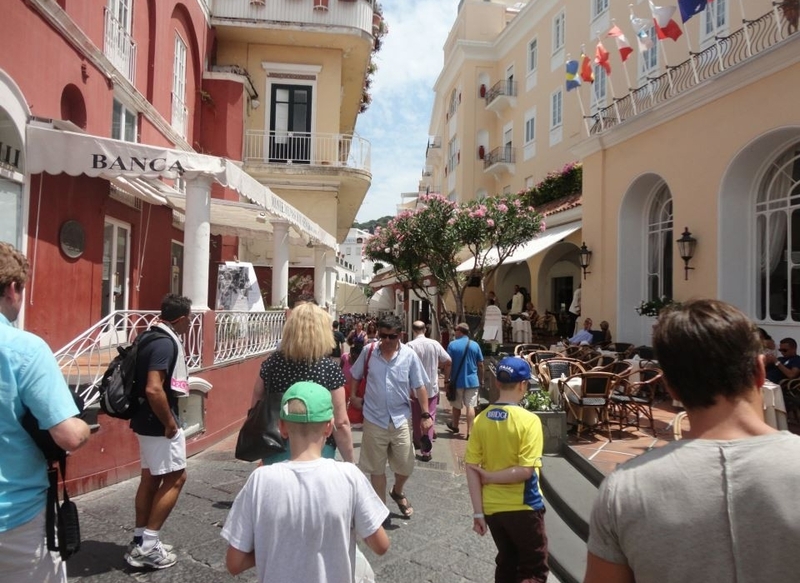 The best time to visit Capri is in the early spring or late fall. It will be less crowded, most of the ships haven’t started or just finished their Med route. This means less crowds and shorter lines, but it also means some of the shops will be closed or be very low on inventory. Most of the big shops close in the off season. 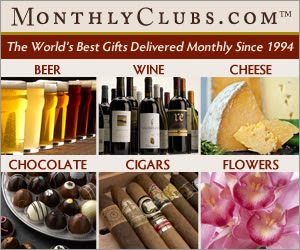 If shopping isn’t your thing then it’s a great time to visit. On the upside, at least for me, if you go in late October you catch some really good sales, specially on sandals! (I know I have a shoe problem.) If you do go during off peak season be sure to check the ferry schedules and confirm the time you must return to the ship, there are less ferries and hydrofoils that travel to and fro at this time so you will need to coordinate your return from the island to your ship’s departure time. Allow at least 1 – 1 1/2 hours for the return trip as the ferries have been known to run late specially when sea conditions are rough. Okay, getting there. First be sure you are actually in the port of Naples! 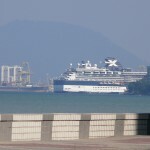 My son’s honeymoon cruise docked in Salerno, miles away from Naples. 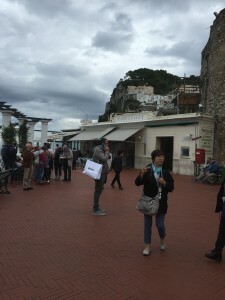 There is a ferry route from Salerno to Capri, but it is very limited and often times the last ferry will return after the ship has sailed, you would have to return on a much earlier boat to avoid missing the ship, this very much limits your time on the island. 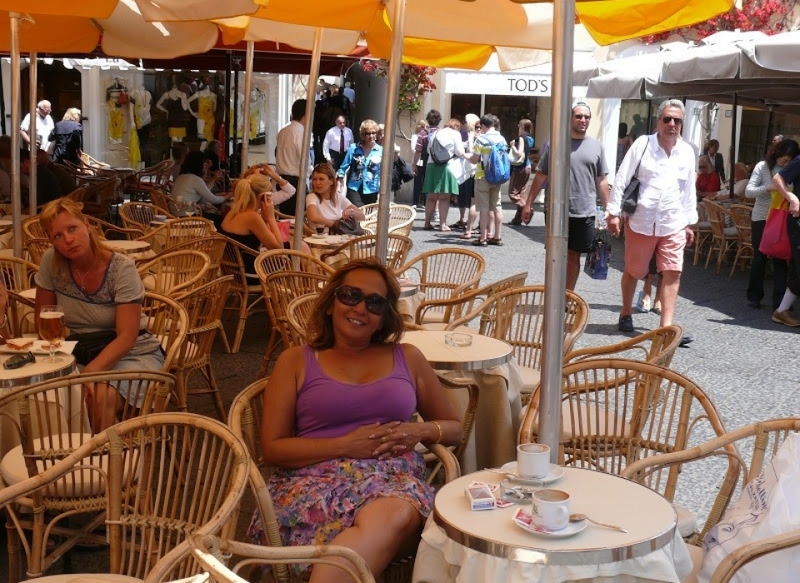 A couple of years ago when we docked in Salerno we opted to skip a day trip to Capri because the ferry schedules were just too difficult. Go directly to the ticket window that has a large sign that says “Capri”. 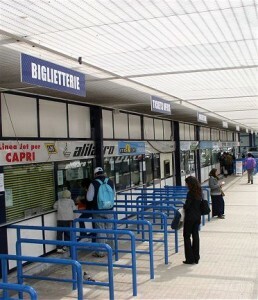 That is the window selling tickets for the next ferry departing to the island. There are 2 companies that run ferries, Caremar runs regular ferries, and Gescab runs the high speed ferries. Regular ferries cost less but take an hour to get to Capri, high speed ferries are more expensive and take 45 minutes to get there. 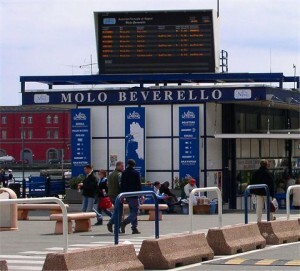 You can buy a one-way ticket from one company and buy your return from the ticket booth on the island for a different company, or you can buy a round-trip ticket in Naples. The ticket agent will show you the ferry schedule and you can choose the time you want to return. You don’t have to buy return tickets from the same company, the type of ferry and the cost will vary depending on the time you choose. We usually catch the 8:35 a.m. or 9:10 a.m. high speed ferry to Capri. When we went last October high speed ferry tickets cost 20.50 Euro each way per person. This gets you to the island by 10 am. Perfect! We buy return tickets for the 15.25 (3:25) high speed ferry. This gets us back to the port of Naples about 4:20, plenty enough time to walk back to the ship before the all aboard at 5:30 – 6:00 pm. 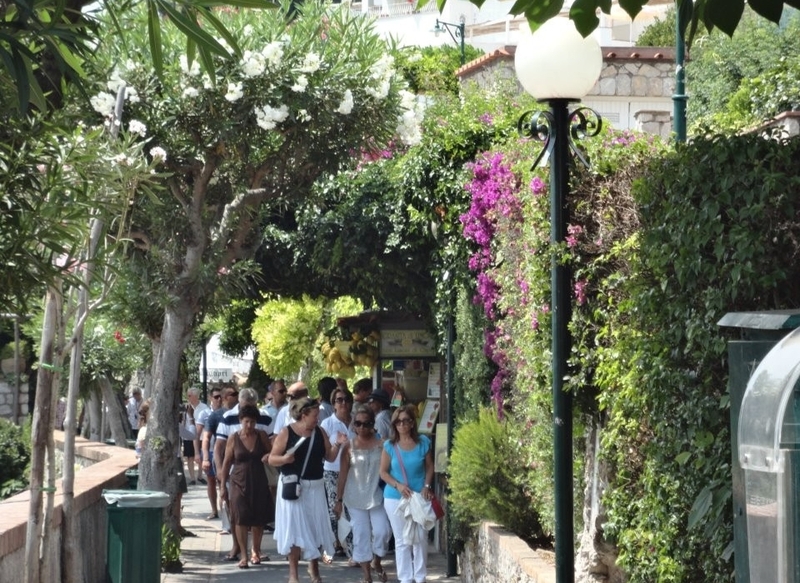 Best of all this gives us 5 full hours on the island, plenty of time to wander, shop, and have lunch. But don’t worry, if you decide you want to return earlier you can go to the ticket booth located next to the docks (on the left side of them if you’re facing the docks) and change your ticket for an earlier ferry. However you may have to pay a few extra Euros if you’re original ticket is for a regular ferry and you want to return on a high speed one. When reading the schedules note that to go to Capri you will be looking at the Napoli-Capri time table and the return is Capri-Napoli. It’s also a good idea to become familiar with the 24 hour clock or “military” time. 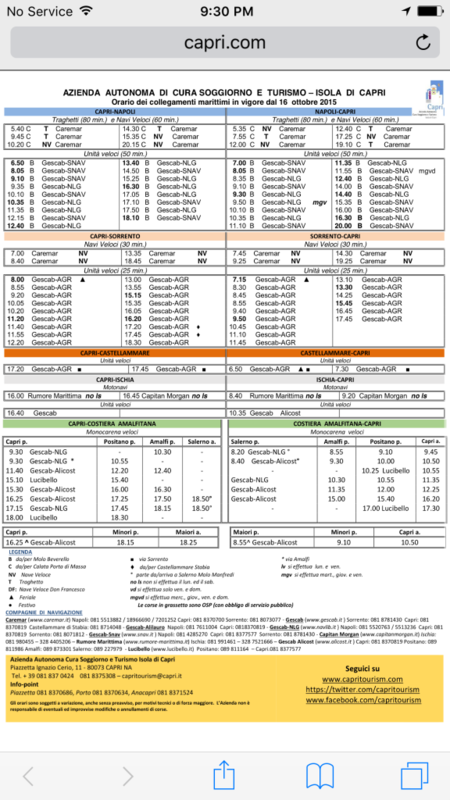 In Europe train and ferry schedules show times as such. My rule of thumb for figuring out the afternoon times is subtracting 12 from the posted time – the result is the pm time most of us are used to. Funicular tickets cost 1.35 Euro per person each way. 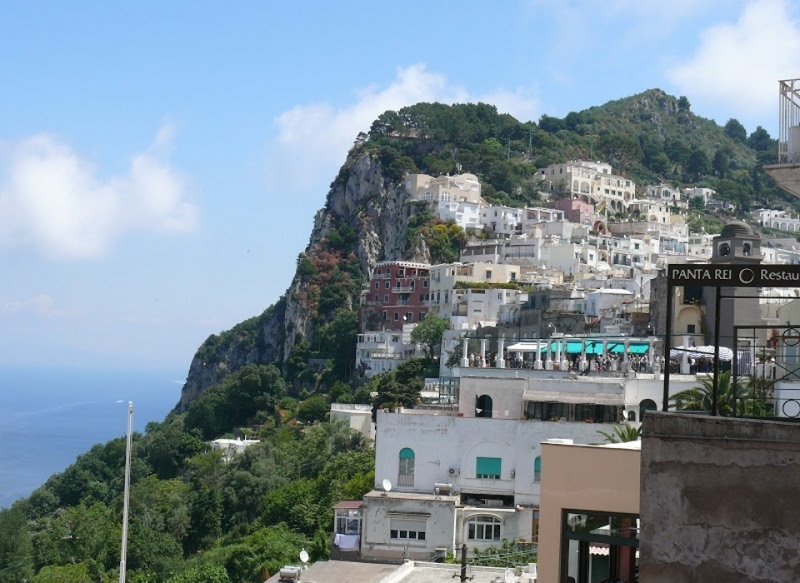 The funicular takes you up to the town of Capri. From there you can take a bus to Anacapri, the town at the top where you can take a gondola ride for some great views. The bus requires a separate ticket which you can buy at the depot. You can also walk around Marina Grande or catch a small boat to the Blue Grotto. You can also take a circle island boat tour that will take you around to the Fragolino Rocks on the other side of the island. 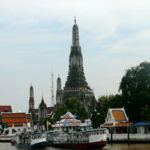 There are also cafes, restaurants, and shops around the marina. In fact my favorite sandal shop is just steps away from the dock. But I’ll get to that later on. We find this area very touristy with touts shoving menus at you trying to get you to sit down for a cup of coffee or pizza. I have to say that most of the restaurants here are kind of pricey and their food isn’t very good, at least the ones that are right in the middle. The ones off to the side may be better, but I haven’t tried them so I couldn’t say good or not. However they do have nice outdoor seating where you can sit and have an espresso as you watch the ferries and boats come and go. My husband and grandkids usually hang out at one of those tables while the girls and I pick out sandals. However if you must buy a gelato the best place to do so is the gelateria located at the end of the marina, it’s less crowded and much cheaper than the places in the middle. 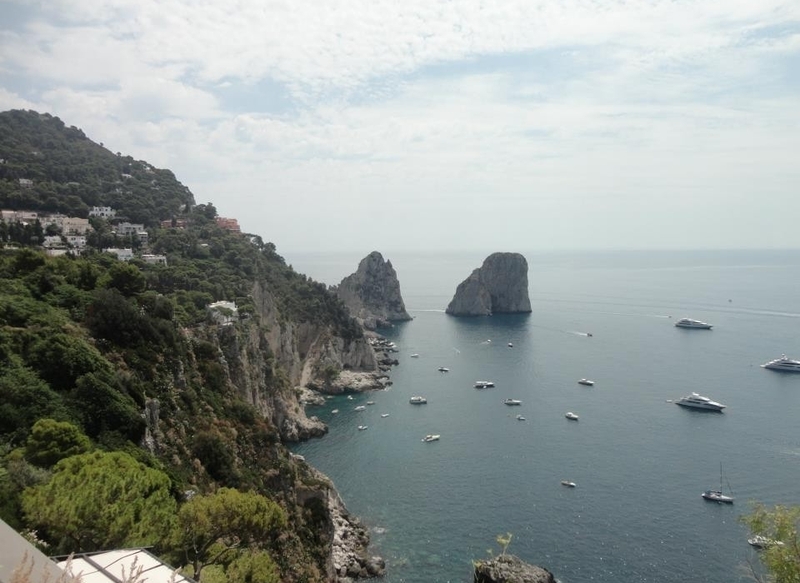 If you don’t want to take the funicular up to Capri you have 2 other options, walk up the steep stairs located on the side of the funicular station or ride one of the convertible taxis. They’re pretty cool, at least my grandsons thought so. The last time we did this the driver charged us 20 Euro for the 5 minute ride up. 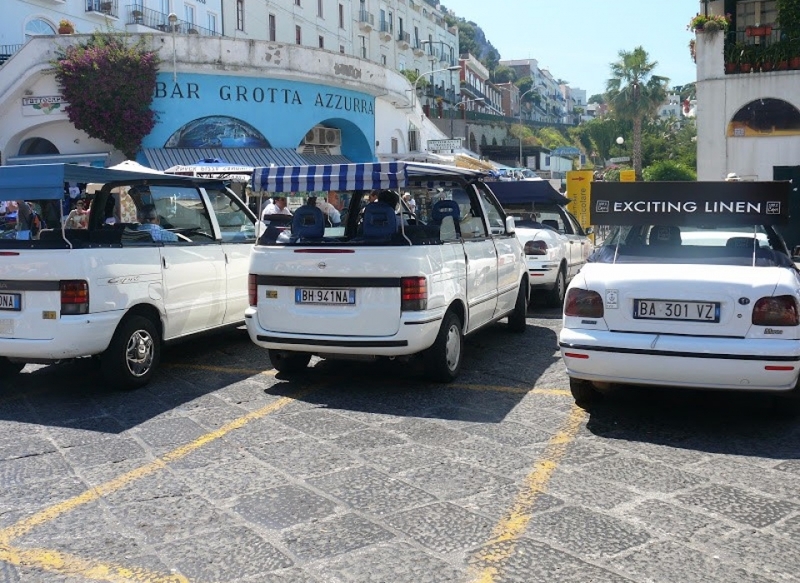 You can also work out a deal with the driver to take you on a tour, which means he’ll take you up to Anacapri and then back to the town of Capri, he may agree to take you back to the marina. You have a better chance of working out a good deal in the off season, they are very busy during the season and it’s hard to even find one available. Most folks opt for the funicular. The 1.35 Euro is a bargain and keeps you from huffing and puffing up the long stairs. So once you have your ticket, and I suggest you buy 2 for each person, one up and one down, to avoid the long lines at the top. Walk across to the funicular station and get in line. You can’t miss it! 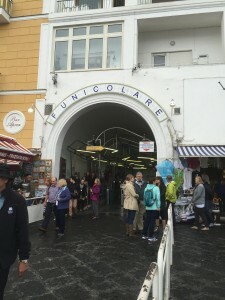 The entrance is between 2 souvenir shops and is clearly marked Funicolare! During the season the lines are huge, but it takes plenty of passengers and you should be able to get on in about 15-20 minutes. Once inside the station stamp your ticket in the turnstile and walk up the steps to an available compartment. Seating is very limited, most of the time you’ll end up standing, but it’s a short ride, less than 10 minutes. Besides standing up lets you look out the window. You’ll have great views of the bay and also of the homes and vineyards on the side of the mountain. Once in the town you can spend a few moments taking in the awesome views! There are great photo ops from the station. 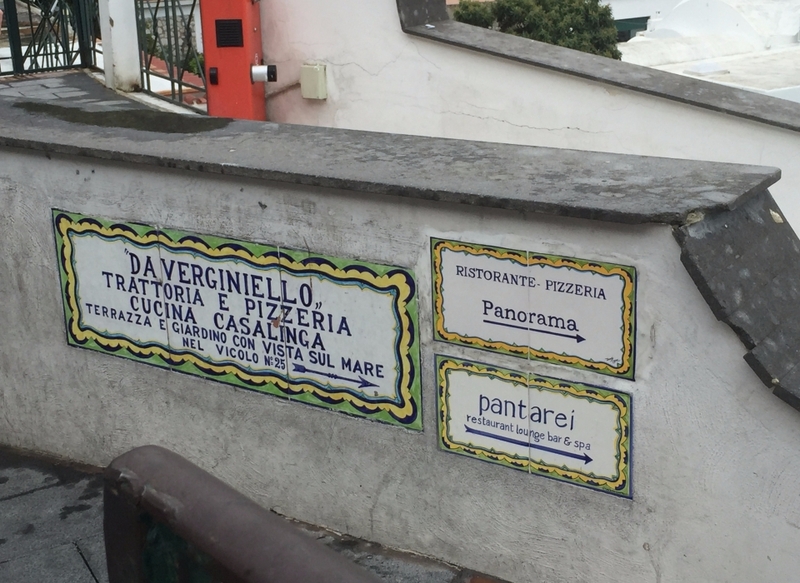 From the funicular station you can walk over to the bus depot for the bus to Anacapri. You may also find taxis there. 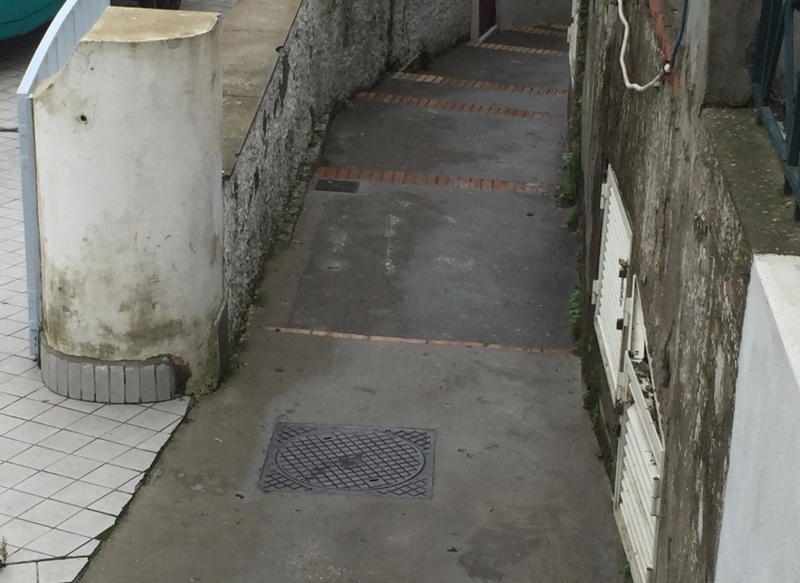 To get to the bus depot turn right on the street running in front of the funicular station. You can’t miss it. There are some shops, mostly sandals shops and cafes along the street. 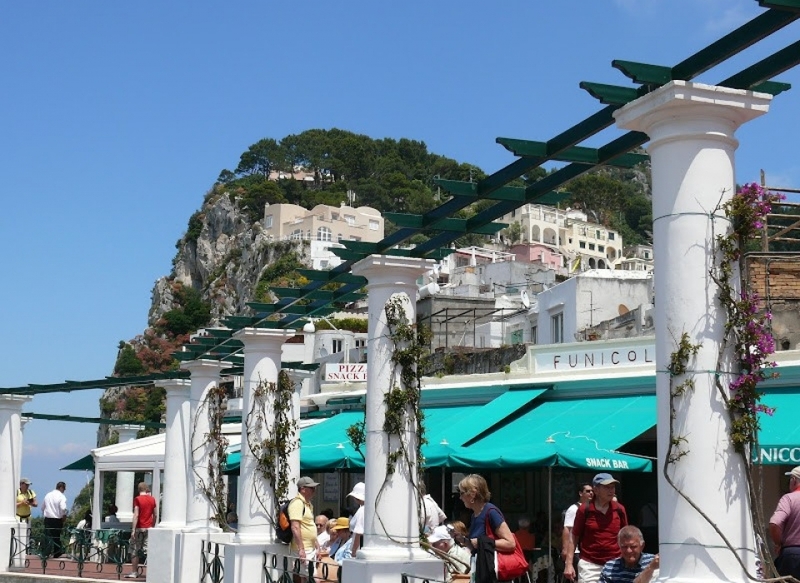 If you want to just head over to the heart of the town then walk to the left of the funicular station, you can’t help but run into Piazetta Umberto I, Capri’s main square. The former Cathedral of St. Stefano sits on top of the stairs that goes up from the Piazetta. 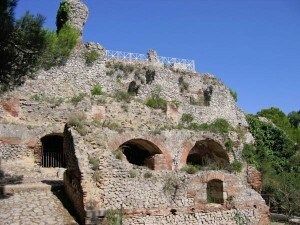 It was once the Cathedral of Capri and is one of the 2 oldest churches on the island. We always stop by for a cappuccino and pastry before heading out to other parts. Be aware that if you take a seat at a table there is a per person cover charge, it’s about 3 or 4 Euro a person. The cafe serves hot and cold beverages, gelato, pastries, and sandwiches. The prices are pretty steep. 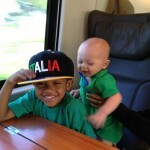 We usually pay about 10-15 Euro for a couple of scoops of gelato for the boys. If you don’t want to spend so much you can grab a coffee or gelato and have it on the go. From the Piazetta you can wander the little alleys that branch off from there. If you go straight and thru the arch you’ll find yourself in a quaint and calmer area with shops and stalls. They sell the most delicious fruits in the small market. If you take the street on the right, Via Vittorio Emanule. you’ll be heading down to the streets that will take you to the Garden of Augustus. You’ll pass high end designer shops along the way as well as that gelato place I mentioned, and some luxury hotels. At the end of the street you’ll run into the yellow Grand Hotel Quisisana. The garden costs 1 Euro per person between March 1 – November 15, kids 11 and under are free. You don’t have to buy a ticket, just pay the attendant seated across the garden and wander in. The gardens themselves are a delight! 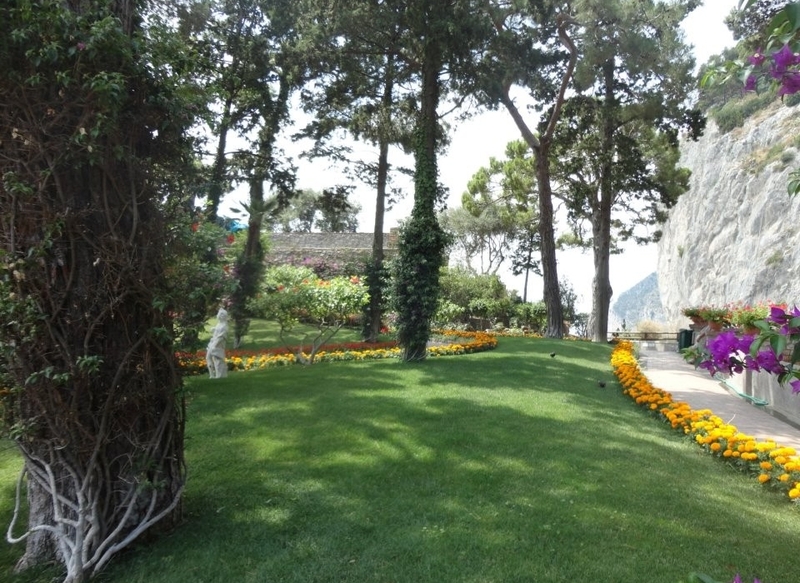 The Flower lined paths and statuary scattered throughout lead you to the main attraction, the lookout! 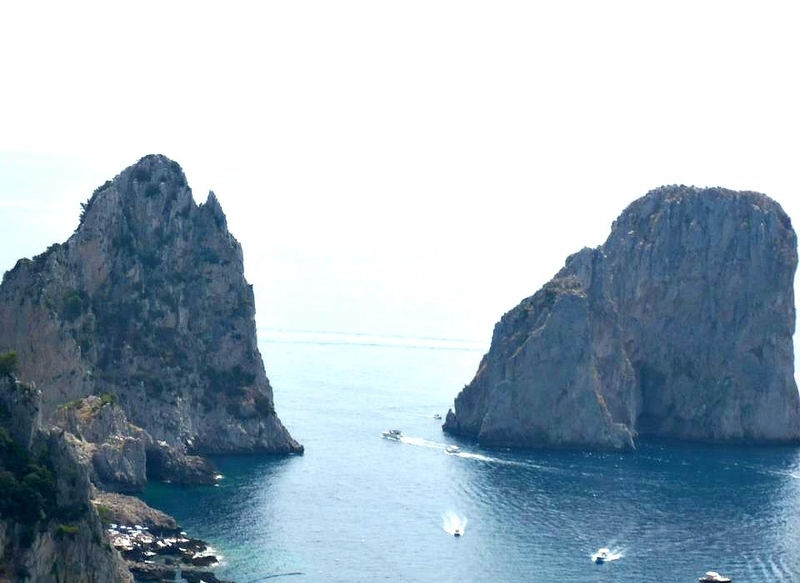 The look out offers spectacular views of the Fragolino Rocks on one side and the Bay of Marina Piccola, Marina Piccola and steep winding Via Krupp on the other. Another site you can visit on Capri is Villa Jovis. It’s the grandest of Tiberius’ villas on the island, he built 12 villas. 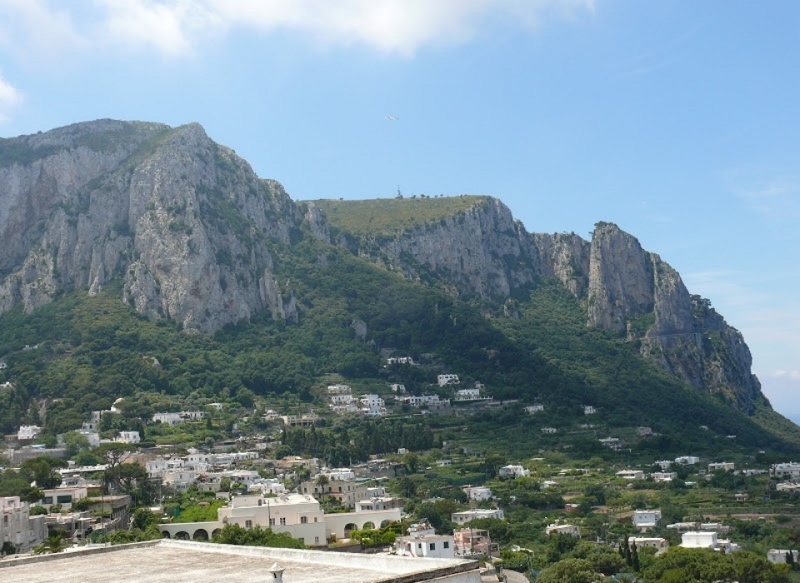 The villa sits atop Monte Tiberio, Capri’s second highest peak. In its hay day the villa was a sumptuous testament to the emperor’s depraved tastes featuring imperial quarters and vast baths set in dense gardens and woodlands. Today the villa stands in ruin, a skeleton of its former glory and a ghostly momento to the depravity of some the ancient Roman emperors. The stairs behind the villa lead up to Salto di Tiberio, Tiberius’ Leap, a sheer cliff where the story claims the emperor had out of favored guests hurled into the sea. I don’t know if the story is true, but the views from there are spectacular. If you suffer from vertigo or acrophobia tread carefully or maybe skip this part of the tour. Getting to Villa Jovis is a 45 minute uphill walk from the Piazetta. Begin at the Piazetta and take Via Le Botteghe (on the left side of the Piazetta) to Via Fuorlovado then to Via Croce, and finally Via Tiberio. Admission is 2 Euro and free for EU residents and kids under 18. Click here for more information. 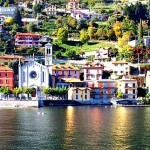 From Villa Jovis you can make a stop at Parco Astarita, it’s free and delightful. Walk to the last terrace and enjoy the wonderful view surrounded by mountain goats that roam free in the park. You can also take a quick peek into Villa Lysis, the neo-classical mansion built by poet Jacques d’Adelsward-Fersen in 1905. The villa eventually ended up in the hands of the Italian state and was restored in the 1990s. Today it’s open to the public, admission is free, and can be rented for private parties and events. It went up for sale in 2009 for about 7 Million Euro, interested? 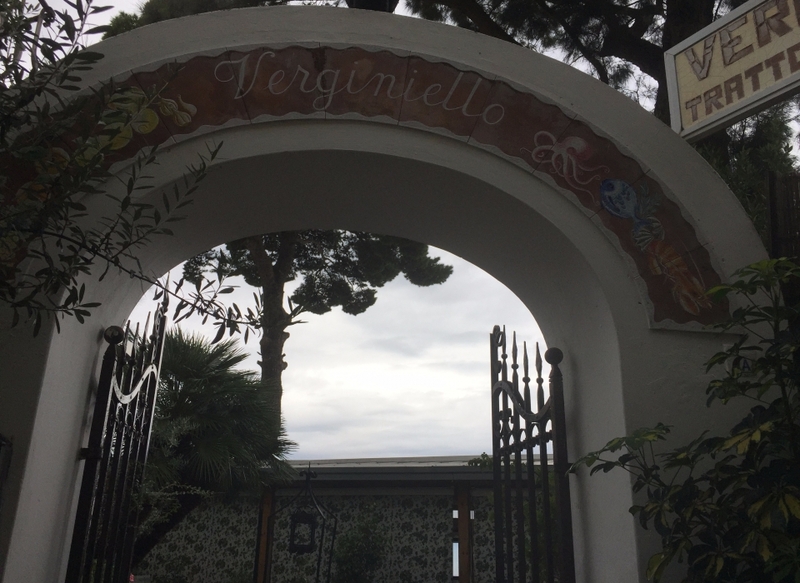 Depending on how much time you have on Capri, and how much stamina you have, you may be able to visit both the garden and the villa, but I doubt you’ll have much more time after that, specially if you took a ride up to Anacapri as well. 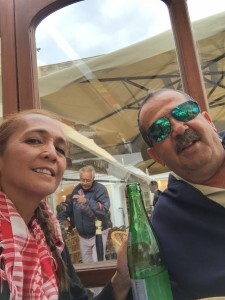 We usually pick one spot to visit then spend the rest of our time wandering thru the shops and having a leisurely lunch at our favorite restaurant, one far away from the maddening crowds. 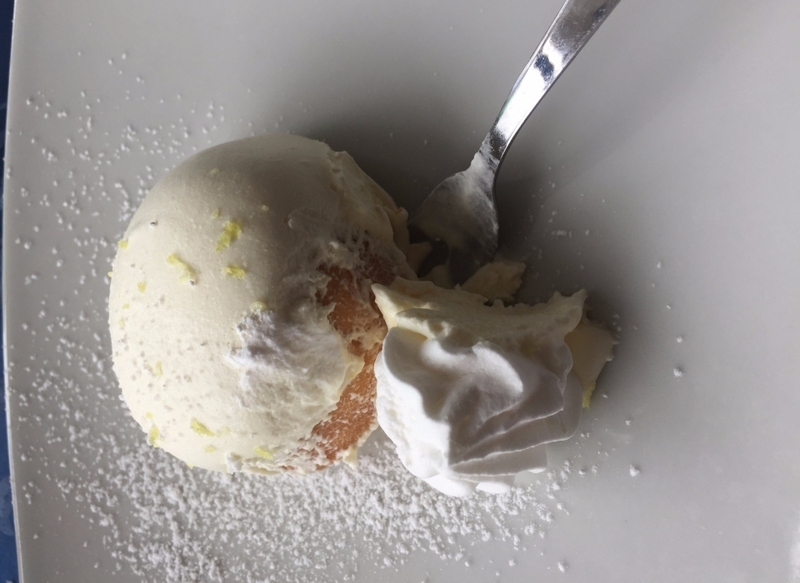 But before you head up to our favorite restaurant you may want to window shop along Via Vittorio Emanuele down to Via Via Camerelle. You’ll find your favorite designer’s including Gucci, Vuitton, Alberta Ferretti, D&G, and more along these 2 streets. 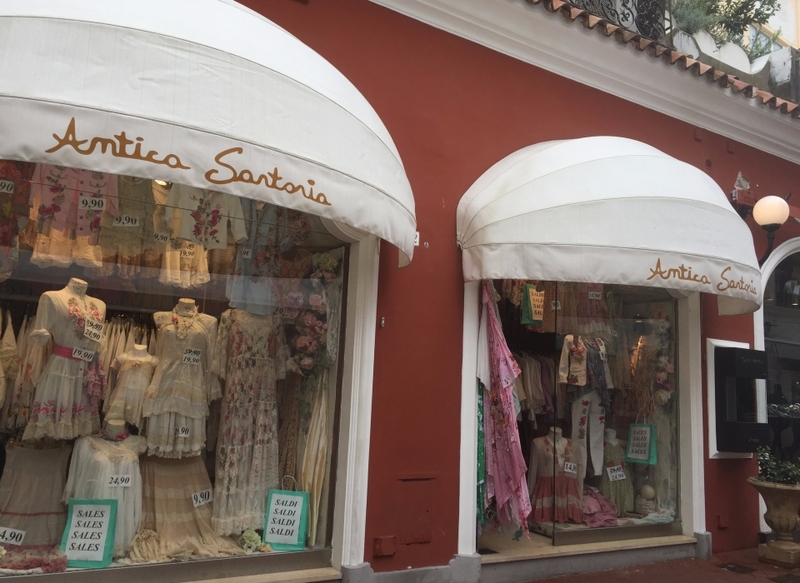 Along side the high end shops you’ll find pricey sandal shops, a few souvenir shops, and a couple more budget friendly shops including my favorite, Antica Sartoria. There are 2 locations, one on each street. This shop sells cotton clothing for women and children at very reasonable prices. They always advertise items starting at about 10 Euro or less. If you’re there in the end of October you’ll find items on clearance for 5 Euro! Last year I scooped up maxis, tea length dresses, blouses, and even embellished denim jackets for 5-7 Euro! The stores are crammed with racks of clothing and bargain hunters anytime of year. They do close shop in the off season, but they have locations in Naples and Positano. 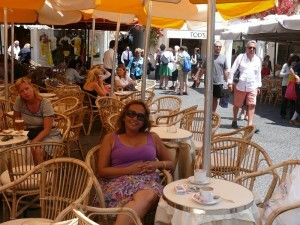 Towards the end of Via Camerelle you’ll find many restaurants, most of them have shaded outdoor tables with a view. I’ve eaten at some of them. I find them quite pricey, touristy, and the food not great. Of course they cater to tourists and you dine there mostly for the view. These places do charge a cover fee for each adult, the cover is about 3-4 Euro. 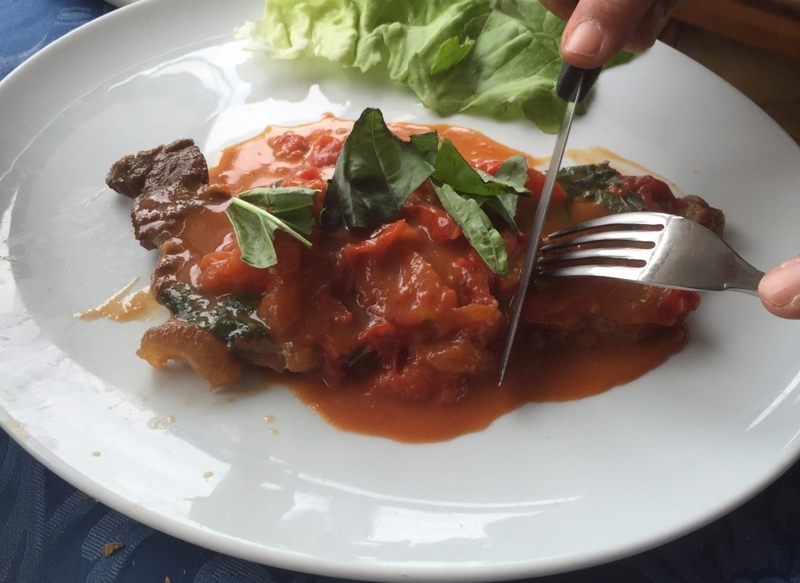 Last time we had lunch at one of the places along Via Camerelle we spent about 120 Euro for 4 adults and 2 children, and all we had were 2 pizzas, 2 pasta dishes, bottled water, and a couple of gelato for the boys. We paid the price to sit at a table with a view, but the food was mediocre at best. 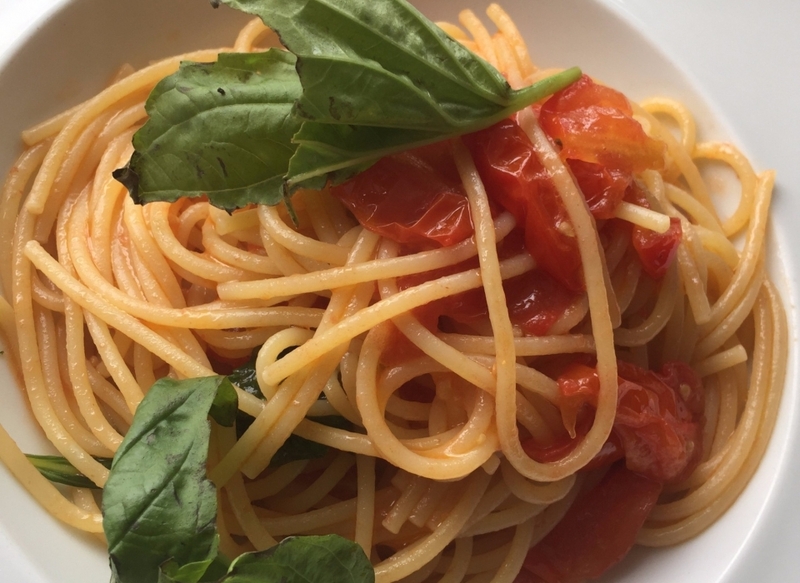 If you’re ready for lunch head over to Via Lo Palazzo No. 25. 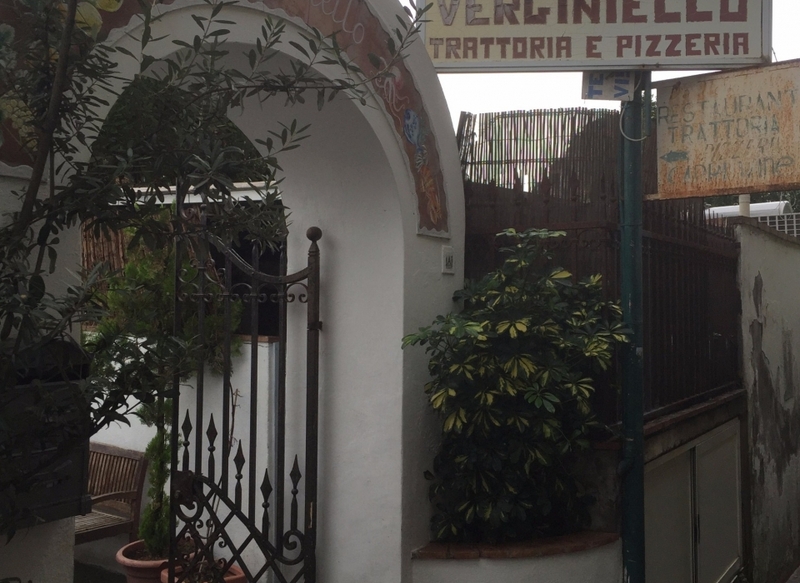 My favorite trattoria and pizzaria, Da Verginiello! Located down a small alley past the bus depot this place is amazing. It seems to be a local favorite, you’ll see more taxi drivers and local folks there than you will tourists. The food is fresh and delicious. 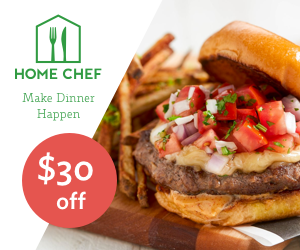 It tastes like home cooking! You can almost see Mama in the kitchen dishing up antipasti and pasta. In fact the kitchen is open and you are welcome to watch them make your pizza. Not only is the food amazing, the place is located on the side of the mountain and has panoramic views of the bay and beyond. Of course the prices are very reasonable. We lunch here every time we’re on Capri. We’ve taken many of our friends and family and they love it too. 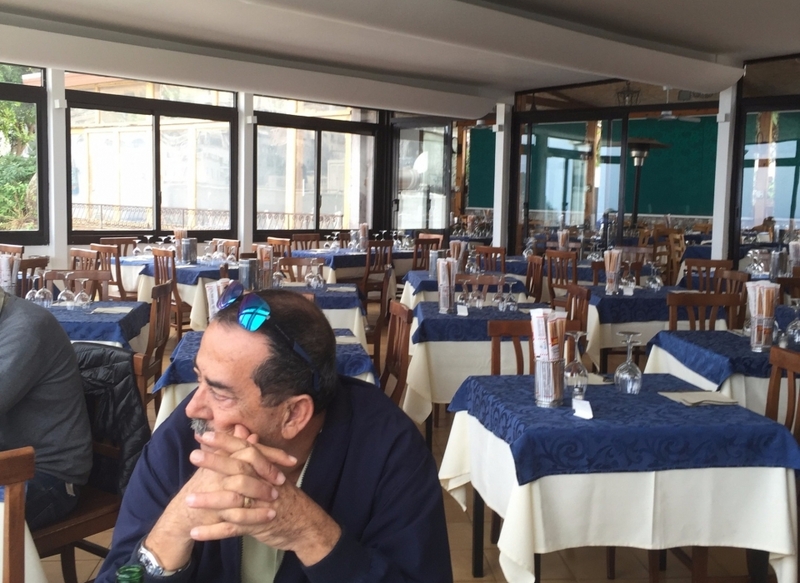 The last time we had lunch with a couple of friends it only cost us 90 Euro. 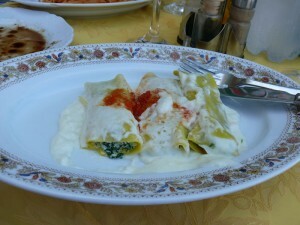 We each had a soup or salad, a primi of pasta, a secondi of steak or fresh seafood, and dessert. We also enjoyed a couple of bottles of wine and bottled waters and shared a pizza. And that price included the tip! 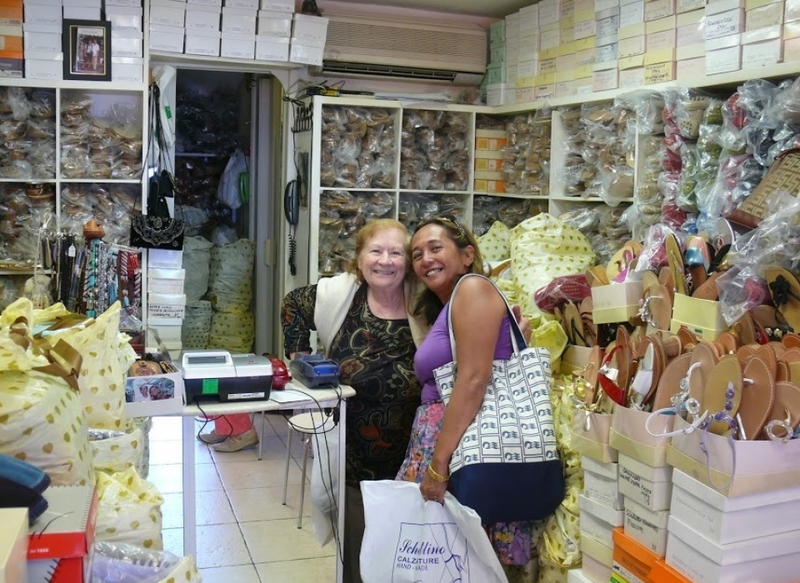 For me a trip to Capri isn’t complete without buying at least a pair of handmade sandals, Capri is famous for them! Depending on the style and where you buy them sandals start at about 80-90 Euro for a pair of plain leather sandals and can go up to almost 400 Euro a pair for embellished with lots of sparkly crystals. I found the shops in Anacapri to be among the most expensive, as are the shops along Via Camerelle. These shops look fancier and have nice uncluttered displays. 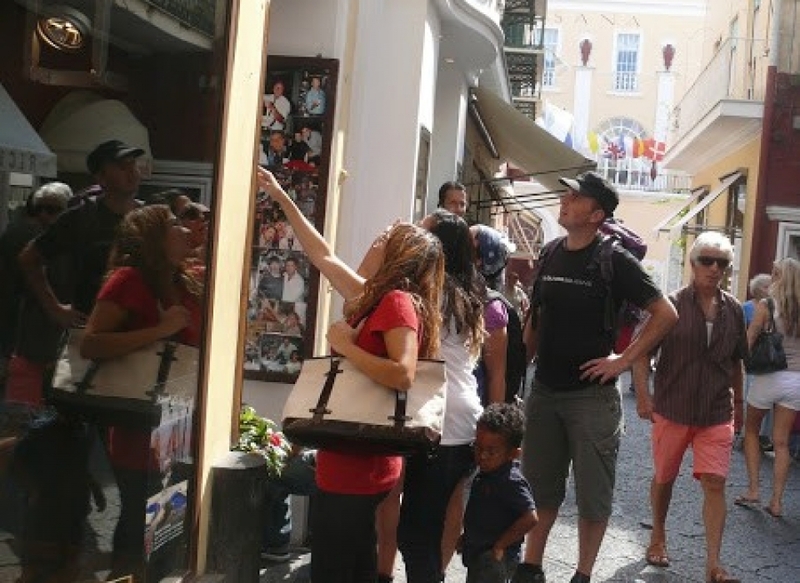 The shops along Via Marina Grande (the street in front of the funicular station) are generally less expensive and not as fancy, these shops don’t have nice neat displays, instead they may have piles of sandals crammed into the tiny shops. I frequent one of the shops there called Schettino, it’s run by a nice little old lady and her husband. Their claim to fame is a picture of Jackie Kennedy Onasis taken years ago buying sandals from them. It’s taped to the wall. I’ve picked up sandals from her for about 110 Euro a pair. But they don’t make sandals on the spot, you can order a pair and they can have it ready the next day. My daughter Jenny favors the shop next door, he has a slightly different selection and will custom make a pair for you in less than half an hour. He is quite pricey. The custom sandals he made for my daughter cost 235 Euro. 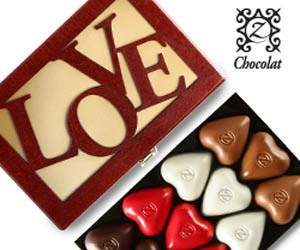 But our all time favorite shop is Cuccurullo, located down the mountain in Marina Grande. It’s owned and operated by a young lady who learned the trade from her grandfather. She can whip up a pair of sandals in 15 minutes! Her prices are the most reasonable, starting at about 75 Euro and going up to about 200+ Euro for the most ornate. She will happily make your sandals the way you want them, my daughter Jaime stood right next to her directing her where she wanted the straps! This place gets quite busy and you may have to squeeze your way in. 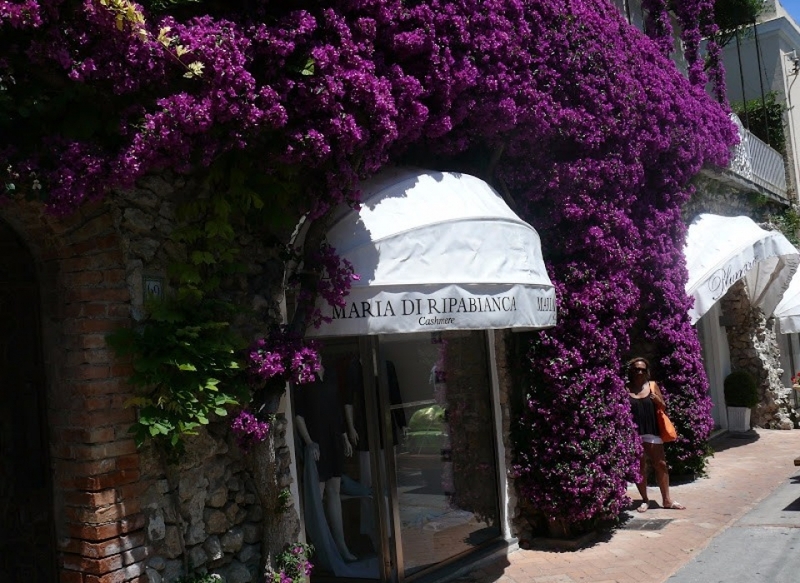 I find it best to order my sandals before I head up to Capri town. I pick them up before I hop on the ferry back to Naples. As you can see a day trip to Capri comes with a pretty hefty price tag. Just getting there and back will cost you about 45 Euro per person. Shopping and eating there can cost a small fortune. But don’t let the cost scare you away it’s well worth the trip and you can keep the costs down by picking up picnic food at one of the markets and enjoying it in one of the gardens. But really the best way to keep costs down is to keep away from the shops, specially the sandal shops!